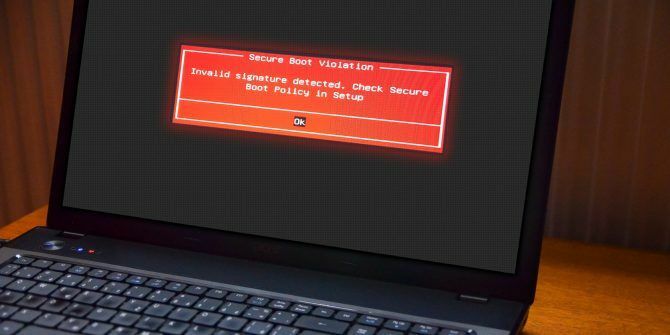 Now, we don’t advise disabling Secure Boot lightly What You Need to Know about Windows 10 Secure Boot Keys What You Need to Know about Windows 10 Secure Boot Keys Secure Boot should prevent tablet and PC owners from installing their own OS choice on a Windows 10 device -- but thanks to the accidental leak of the "golden keys", Secure boot is dead. Read More . It really does keep you safe (check out the Secure Boot vs. Petya Ransomware video below, for example), especially from some of the nastier malware variants like rootkits and bootkits What You Don’t Know About Rootkits Will Scare You What You Don’t Know About Rootkits Will Scare You If you don't know anything about rootkits, it's time to change that. What you don't know will scare the hell out of you, and force you to reconsider your data security. Read More (others would contend it was the security measure to stop Windows pirating). That said, sometimes it gets in the way. Turn your computer off. Then, turn it back on and press the BIOS enter key during the boot process. This varies between hardware types How to Enter the BIOS on Your Computer How to Enter the BIOS on Your Computer To get into the BIOS, you usually press a specific key at the right time. Here's how to enter the BIOS on Windows 10. Read More , but is generally F1, F2, F12, Esc, or Del; Windows users can hold Shift while selecting Restart to enter the Advanced Boot Menu. Then select Troubleshoot > Advanced Options: UEFI Firmware Settings. You have successfully disabled Secure Boot. 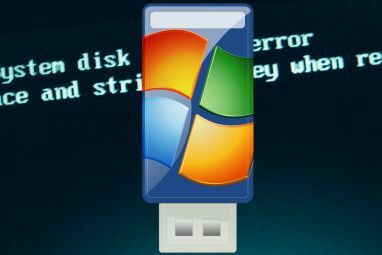 Feel free you grab your nearest previously unbootable USB drive and finally explore the operating system. Kali Linux and TAILS are a great places to start 6 Ways Mr. Robot Is Putting Linux in the Public Eye 6 Ways Mr. Robot Is Putting Linux in the Public Eye Mr. Robot debuted in 2015 to critical acclaim. But did you know that there's quite a bit you can learn about Linux from watching Mr. Robot? Read More . Of course, you might want to turn Secure Boot back on. 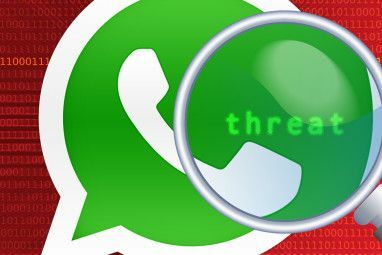 After all, it does help protect against nefarious malware and other unauthorized code The Best Computer Security and Antivirus Tools The Best Computer Security and Antivirus Tools Concerned about malware, ransomware, and viruses? Here are the best security and antivirus apps you need to stay protected. Read More . If you directly install an unsigned operating system, you’ll need to remove all traces before attempting to turn Secure Boot back on. Otherwise, the process will fail. Check your drive partition type How to Set Up a Second Hard Drive in Windows: Partitioning How to Set Up a Second Hard Drive in Windows: Partitioning You can split your drive into different sections with drive partitions. We'll show you how to resize, delete, and create partitions using a default Windows tool called Disk Management. Read More . UEFI requires GPT partition style, rather than the MBR used by Legacy BIOS setups. To do this, type Computer Management in your Windows Start menu search bar and select the best match. Select Disk Management from the menu. Now, find your primary drive, right-click, and select Properties. Now, select the Volume Your partition style is listed here. Trusted Boot picks up where Secure Boot stops, but really only applies to the Windows 10 digital signature. Once UEFI Secure Boot passes the baton, Trusted Boot verifies every other aspect of Windows 7 Windows 10 Security Features & How to Use Them 7 Windows 10 Security Features & How to Use Them Windows 10 is all about security. Microsoft recently instructed its partners that in sales, Windows 10's security features should be the primary focus. How does Windows 10 live up to this promise? Let's find out! Read More , including drivers, startup files, and more. Secure Boot is arguably more useful than ever at the current time. Bootloader attacking ransomware is very real Everything You Need to Know About the NotPetya Ransomware Everything You Need to Know About the NotPetya Ransomware A nasty form of ransomware dubbed NotPetya is currently spreading around the world. You probably have some questions, and we definitely have some answers. Read More . Rootkits and other particularly nasty malware variants are also out in the wild. Secure Boot provides UEFI systems with an extra level of system validation to give you peace of mind. Explore more about: BIOS, Computer Security, Dual Boot, Troubleshooting, UEFI. If you run Windows at all you will want Secure Boot enabled. If you only run Linux then for compatibility sake I would disable it so drivers can install correctly. Although Linux such as Ubuntu fully support Secure Boot some other less popular Linux distros do not. Linus Torvalds was not so supportive of Secure Boot at first but later relented it was useful if security was important. Although I probably think his statement didn't reflect what he did and probably does not run Secure Boot. Sigh. Of course the powers that be completely hijacked the secure boot implementation turning it into "authorized boot", and of course they decide what is authorized. The end-user feature we need is *we* re-sign the boot record after *we* install an OS we trust. Thank you for not advocating people disable UEFI (the title had me worried). Secure Boot is just one feature of UEFI and isn't a requirement. Additionally, almost every modern Linux OS has full support for UEFI and leaving it enabled can actually make dual booting easier. Yeah, I thought the same, title for this article is inaccurate and misleading. Thanks for the heads up, we've changed the title. "Secure Boot" seems to have slipped through the net somehow! What Is the “LoJax” UEFI Rootkit Developed by Russian Hackers?